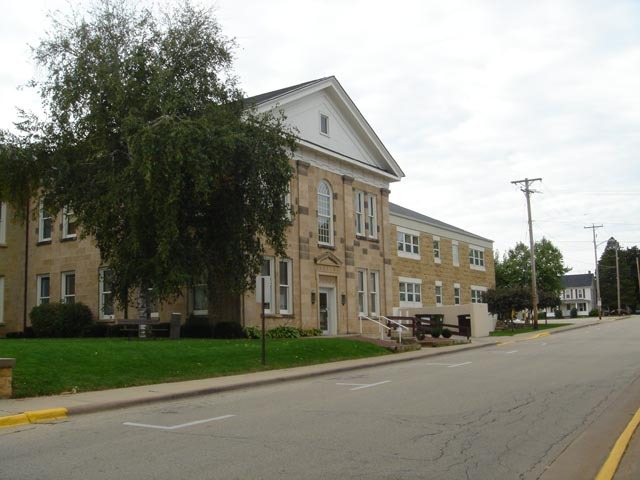 Located route 23 and Chaple st. Dodgeville, WI Coordinates Lat N 42:57':704" Lon W -90:07':829"
This is the oldest courthouse in Wisconsin. Construction started June 11, 1859. It was dedicated in 1861, enlarged in 1894 and again in 1927. In 1937 the Doric Columns, pediment and cupola were restored exactly as the 1859 original. In 1969 the interior was completely renovated to better utilize space. 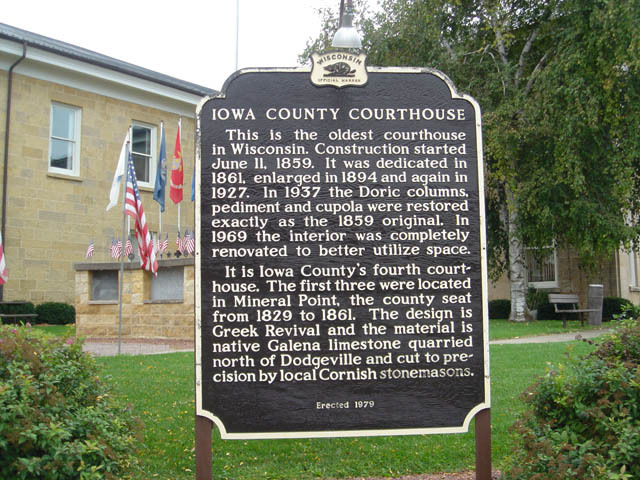 It is Iowa County's fourth courthouse. 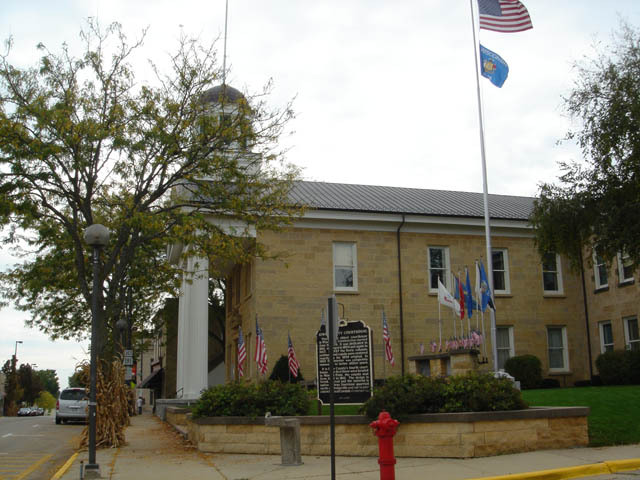 The first three were located in Mineral Point, the county seat from 1829 to 1861. The design is Greek Revival and the material is native Galena limestone quarried north of Dodgeville and cut to precision by local Cornish stone-masons.